The Sooner State Club and Southwest Peruvian Horse Club are hosting a NAPHA Trail Certification Event which will be held on May 4-5 at the Rocking M Ranch, outside of Stephenville, TX. The Rocking M is perfect for the event with outdoor arena, indoor riding space and miles of groomed trails! Indoor stalls, shavings, lunches, and a cocktail party are included with the entry fee. 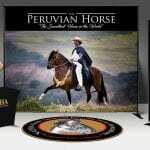 Come have fun with your horse! Limit 12 horses for testing. Horses may be tested for both Junior and Senior levels at the same time. The horses will be split into 2 rotating groups so it will be possible to test two of your horses on one weekend. 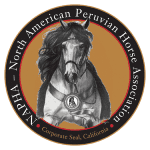 Registered NAPHA horses will receive special awards. Lodging: Hotels available in Stephenville. Book early! water or sewage hookups. Shower available.